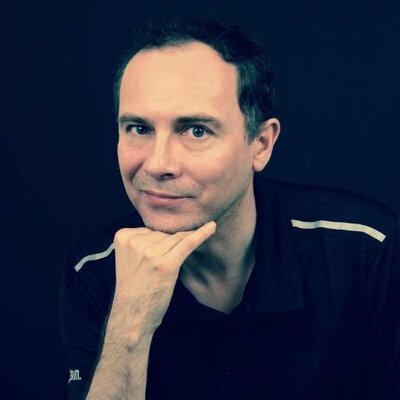 To use SpotiMail, sign up then let it know your Last.fm username. Whereas other similar services make you enter the artists you want to follow one by one, SpotiMail is clever enough to read them all from your Last.fm account and store them for comparison with Spotify’s new releases. It checks your list of artists played once a week too, so there’s pretty much zero maintenance required. 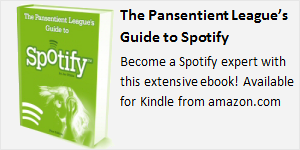 The email lists the artist and album, with clickable links to listen in Spotify. It will also indicate when the new tracks are part of a compilation, as well as listing albums that have been pulled from the catalogue. 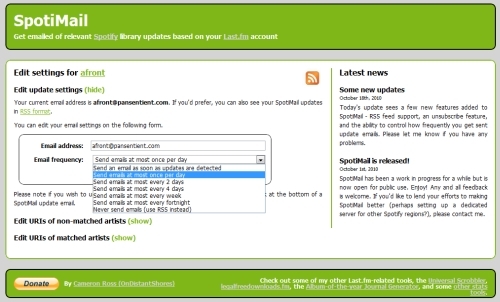 For the occasional mis-match, you can login to SpotiMail and fine-tune your list Spotify URIs. This is handy for artists with foreign characters: for example, you can modify “BjÃ¶rk” to point to “Björk“. If you don’t want to receive emails, you can subscribe to a custom RSS feed so that you have a constantly updated list of new releases for your favourites right in your web browser. Fantastic! Developer Cameron Ross has been building and tweaking SpotiMail in private beta for a few months now, but has decided to open it up to all users. Apart from the occasional foreign characters issue (and note that it currently only reads the UK catalogue), SpotiMail works brilliantly and has been helping me with fnding new releases ever since I signed up. 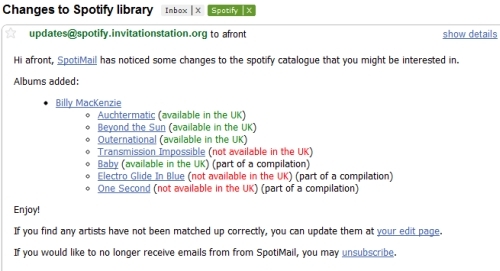 If you have a Last.fm account and use Spotify in the UK, SpotiMail is now the best tool there is for new release notifications: check it out!